In recent months, workers at some of the biggest tech companies have mobilized to push their employers to reconsider some government projects. SAN FRANCISCO — The tech industry is in for a grilling Wednesday when key executives are scheduled to testify before Congress — but the companies may be just as worried about the questions they face back home in California. Outside the political spotlight, tech workers are standing up to their bosses like never before, pressuring them from the inside with demands and pointed questions that upend the typical power dynamic in corporate America. “I think it took a while for those of us who are computing professionals to lift our heads far enough above what we’re doing… to look at how our technologies are being applied or misapplied,” said Cherri M. Pancake, a computer science professor at Oregon State University and president of the Association of Computing Machinery, a trade group that claims a membership of 100,000 tech professionals worldwide at companies including Google. In recent months, workers at some of the biggest tech companies have mobilized to push their employers to reconsider some projects, particularly those connected to government contracts. Google in June said it would not renew a contract with the U.S. Defense Department to analyze drone footage, after thousands of employees signed a petition and some resigned over the deal. Employees at Amazon, Microsoft and Salesforce have also asked their companies to reconsider government contracts, including with U.S. Customs and Border Protection out of concern their software was helping the Trump administration separate immigrant families or could assist police with facial recognition techniques in violation of people’s privacy. Tech employees are also starting to take matters into their own hands by leaking information to journalists. A letter signed by 1,400 employees has circulated within Google demanding that the company explain why it is exploring a re-entry to the Chinese market with a censored search engine, which came to light after the online investigative journalism outlet The Intercept acquired company documents about the project. The article prompted a defense from CEO Sundar Pichai, who said the product was not close to being launched. And in March, someone at Facebook leaked a 2016 memo that argued the social media company needed to pursue adding users above all else, leading to a debate within the company over the appropriateness of employee leaks. The protests demonstrate the potential power of tech workers, and they add up to an unprecedented level of division in Silicon Valley at the same time that regulators, privacy advocates and lawmakers are criticizing the industry from the outside. “Many employees in the bowels of the machine are increasingly seeing that, if we pull together, we have power, too, and wherever we can, we should voice our opinions,” said Dipayan Ghosh, a former Facebook employee who’s now a fellow at Harvard University’s Shorenstein Center on Media, Politics and Public Policy. To guide the activism, the Association for Computing Machinery this year rewrote its code of ethics for the first time since 1992 in order to empower tech workers to raise difficult questions about the purpose of their products with their bosses. The revised code says that workers “should take action to avoid creating systems or technologies that disenfranchise or oppress people,” and that managers should “take special care of systems that become integrated into the infrastructure of society,” like social media. Pancake said the change was meant to acknowledge the growing concern of tech workers and provide them with guidance and support on how to push their companies to act ethically. In 1981, a group of technologists formed Computer Professionals for Social Responsibility “to question the computerization of war in the United States,” although it dissolved in 2013, citing declining interest. “To a much greater degree than outside Silicon Valley, the employees of these companies have a sense of purpose and idealism,” said Paul Barrett, deputy director of the Center for Business and Human Rights at New York University. If you feel like you could get another job somewhere else, it makes it a lot easier to sign your name on a petition. That idealism is reflected in how some tech companies organize themselves, with casual office cultures and flat hierarchies encouraging a belief that “we’re all in this together,” said Leslie Berlin, project historian for the Silicon Valley Archives at Stanford University. Employees are encouraged to give feedback in some contexts. Facebook CEO Mark Zuckerberg takes questions from them weekly. Google runs freewheeling internal message boards, although it released guidelines in June to rein in the debates. Certain workers — top engineers, in particular — have strong leverage when speaking out because they know they would be difficult to replace in an industry where companies compete fiercely for talent. “If you feel like you could get another job somewhere else, it makes it a lot easier to sign your name on a petition,” Berlin said. Several factors are contributing to the growingwave of protests, according to current and former employees and industry watchers. One spark is the Trump administration, and in particular its efforts to scale back immigration to the United States. The tech sector relies on engineers who were born abroad, or whose parents were immigrants, for much of its talent, and many of them or their coworkers are angered by the idea of contributing even indirectly to anti-immigration actions. Another factor is the example set by Susan Fowler, a former engineer at Uber who came forward last year with examples of sexual harassment at the ride-hailing company. Her post was widely shared, leading to the eventual ouster of Uber’s CEO and demonstrating the potential power of a single voice. The most important factor behind tech’s unrest, though, may be a growing realization of the power that modern tech companies wield. While a generation ago the biggest players in Silicon Valley may have made semiconductors, today’s giants are focused on products for consumers that by definition are more influential in shaping people’s day-to-day lives. 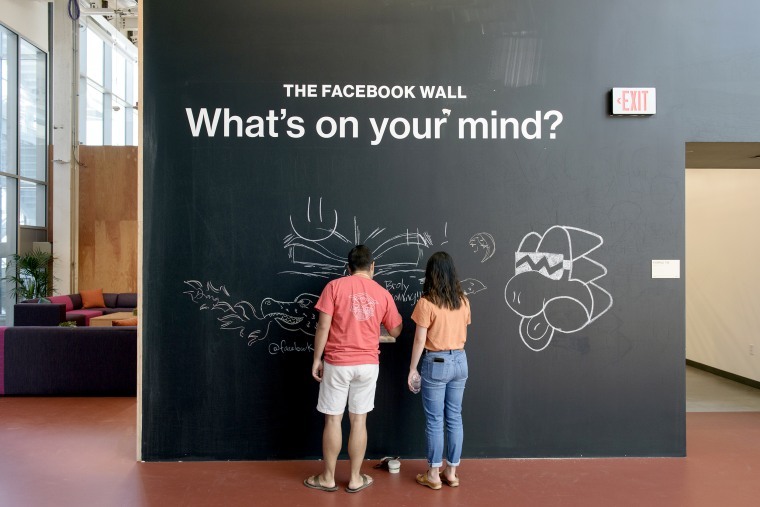 In the case of Facebook, “the company is dealing with a whole range of issues that increasingly are becoming public interest ones: elections, privacy, the security of information, personal autonomy,” said Ghosh, the former Facebook employee. Last month, when social media networks were locked in a debate over whether to ban Alex Jones, the conspiracy theorist and founder of the website Infowars, some Twitter employees expressed frustration with the company. Twitter limited Jones’ ability to tweet for one week in August, but has not banned him as Facebook and YouTube have. Jared Gaut, an engineer at Twitter, said in a tweet last month that he was taking a break after 11 years as a user in protest of the company “making the wrong decisions.” Without naming the Infowars controversy, Gaut said that Twitter’s leadership was “failing” its employees by choosing to remain neutralon speech that suppresses others. Twitter CEO Jack Dorsey, who is scheduled to testify before Congress on Wednesday, told NBC News last month that the company “can’t build a service that is subjective just to the whims of what we personally believe.” He has also publicly thanked employees on Twitter for speaking up. Roger McNamee, the managing director at Elevation Partners, a venture capital firm, said he believes there’s been a narrow range of subjects that tech employees have been willing to sign petitions over. While the recent protests at Google have targeted defense contracts and Chinese censorship, McNamee said they have not addressed other ways the company affects society. YouTube, owned by Google and its parent company Alphabet, has been criticized, for instance, for recommending extreme videos to viewers. McNamee, an early investor in Facebook who still owns shares in the social network, is an adviser to the Center for Humane Technology, a nonprofit made up of former tech workers concerned about smartphone addiction and other social effects of technology. In response to such criticism, YouTube has been tweaking its service to show users what it calls “more authoritative” news sources. Pancake, of the Association for Computing Machinery, said there’s no guarantee tech companies will learn from their mistakes, but she thinks more programmers are learning to speak up to their bosses — and in public.